Early Christians attacked idea of enjoying life. Lactantius wanted to equate pleasure = vice. 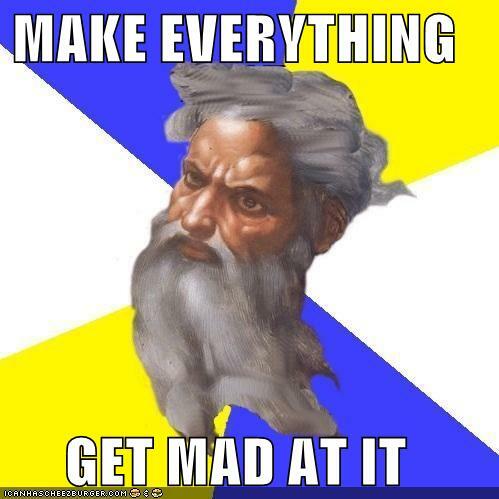 God cared about mankind, and he showed that care with anger. To overcome sensual desires, you had to inflict pain on yourself. The only life truly worth imitating was that of Jesus, and there are no biblical verses that describe him laughing or smiling, let alone pursuing any pleasure. Humans were corrupt inheritors of the sin of Adam and Eve, they richly deserved every miserable catastrophe that befell them. They needed to be punished and they deserved a life of pain to pay God the dues of suffering that he demanded. So pain both as punishment for sins of humanity, but also as a form of pious emulation of Jesus's suffering. Poggio Bracciolini b1390 near Florence at a time when one of the few chances of upward mobility was something that today is completely valueless - beautiful handwriting. Until then all manuscripts were written in a dense, angular and hard to decipher Gothic. Poggio and a contemporaries invented italics, a simple and elegant script. Poggio eventually worked his way up to the post of chief secretary to the Pope. "We are terrified of future catastrophes and are thrown into a continuous state of misery and anxiety, and for fear of becoming miserable, we never cease to be so." More than halfway through the book before author reveals where he got his title from: a Roman writer, Lucretius, born about 100 years BC. (L believed that gods existed, but since they were supernatural and immortal they cared nothing for humanity and so it was a waste of time asking them for favours or sacrificing to them. But he thought that false beliefs in gods inevitably led to human mischief.) In his book On The Nature of Things, L says that everything comes about as a result of a swerve. The world is made up of particles which, at unpredictable intervals, are deflected from their path, and this sets off an endless chain of collisions. This 'swerve' is the source of human free will. L had a lot of other ideas that seem quite modern. The highest goal of human life is the enhancement of pleasure and the reduction of pain. There is nothing more important than working toward this for yourself and your fellow man. All other claims - the service of the state, the glorification of gods or a ruler, or the arduous pursuit of virtue by self-sacrifice - are at best misguided; at worst, fraudulent. L said that religions are invariably cruel. They always promise hope and love, but there underlying message is of a cruel retributive ruler. Almost all have a myth involving the sacrifice of a beloved child. All religions are superstitious delusions. The delusions are based on deeply rooted fears, longings and ignorance. Humans fashion their gods by projecting the power and perfect security they would like to have themselves. Death is nothing, and there is no afterlife. Mourners always say things like "never again will his children race to kiss and cuddle in his arms", but they neglect to say, "He will not care, for he will not exist." Humans have both consoled and tormented themselves with the thought that something awaits them after they have died. Either they will gather flowers forever in a paradisal garden where it is eternally spring, or they will be marched before a harsh judge who will condemn them, for their sins, to an unending misery .... but puzzlingly, this misery will require you retain heat-sensitive skin, and bodily appetites and thirst etc. To Lucretius, understanding these things was not a cause for despair. Grasping the way things really are is the crucial step toward happiness. You van never be happy if you spend your life worrying about what will happen to you after you die. being liberated from false illusions is not the same as disillusionment. Get rid of the idea that your souls are only in this world temporarily on their way somewhere else. That idea is poisonous because it stops you making the most of the (one) life you have.